Nothing too earth shattering on Day 5. I made many many feet of this bias binding, I'm loving the way the plaid looks. Cut, sewn together, pressed, and attached to the soon-to-be completed item. Does anyone else piece the strips together backwards, or is it just me? I swear, I had to resew one piece three times before I got it right, with all the seams on the same side. Next step is the hand sewing, my favorite part. 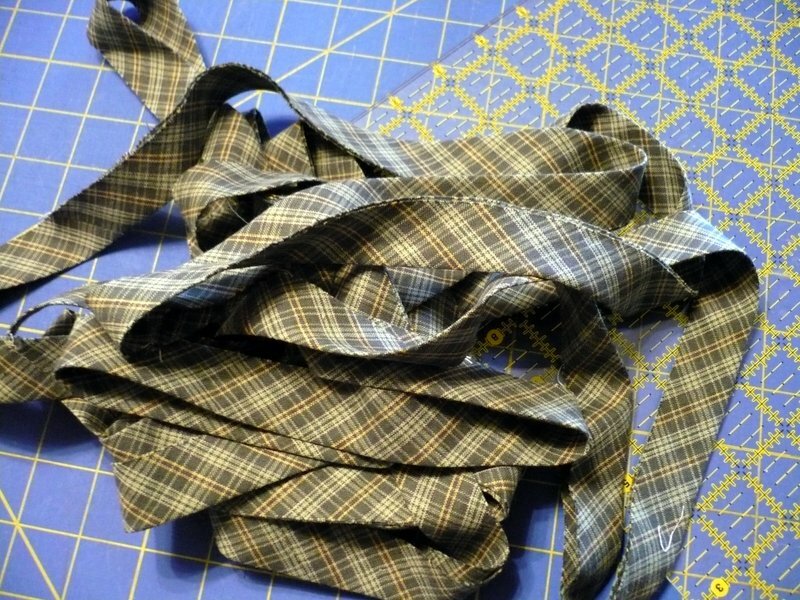 I thought I was the only one who keeps piecing the strips backwards. I feel so much better now. Have fun with the hand sewing. I've been catching up on blog reading and have enjoyed seeing all of your projects! Me too! Do it every darn time! Hand sewing?! That looks like a lot of hand sewing to me.